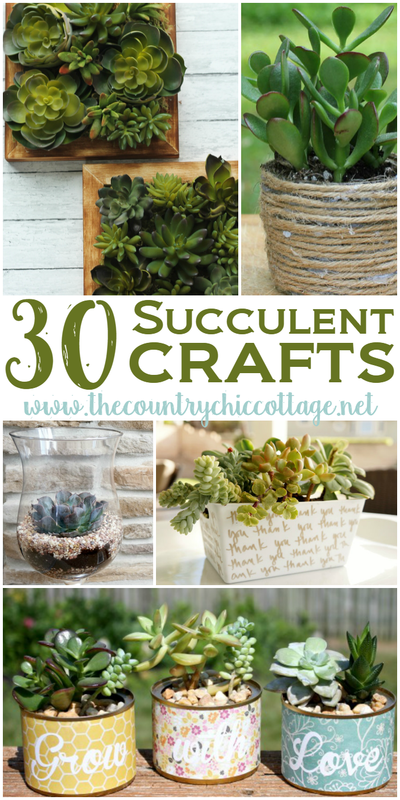 If you love succulents, you will love these 30 sensational succulent crafts. Grab those artificial or real plants and create these for your home soon. I may just end up with succulents in every room of my home after this inspiring list. I love succulents and have many cuttings. I think I’ll give the one of the Bird Bath a try because I have a very old bird house that would work with that project. Love your site… many nice things… Thank you. Thanks for sharing my Mason Jar Succulents! Love all these projects! I love these succulent plants but are losing all of them one by one. I was told not to over water them, which I haven’t……..one ice cube every two weeks! Giving up totally! So Sad! This is why I use the fake ones! Ha ha!